Common stocks advantages and disadvantages are frequent. In the past 8 years almost anyone who bought equities on the stock market when it hit bottom in 2008 has more than doubled their investment. Gains in the value of the equities as well as income from dividends has outperformed almost any other investment. Some of the advantages and risks associated with stocks include income from dividends, growth opportunities, diversity of investments and being able to sell your investment quickly. Before you invest in the stock market, many investors believe that buyers should develop a strategy that matches their objectives and their tolerance for risk. If an investor cannot stomach the volatility of the stock market, equities or stock might not be the right investment vehicle for you. Blue chip – invest in high quality companies that have been around for many years, pay dividends on a regular basis and have a strong future in the industry they are in. Income – If you need income, dividend paying stocks have advantages. Some companies have a history of increasing dividends every year. They perform much better than GIC’s and other fixed investment income vehicles. Dividends – Companies pay a dividend every 3 months to the stock holder. Many pay cash direct to the investors account. Many companies also allow re-investment of the dividend into the same stock. This is an excellent way of avoiding any broker charges and growing your investment at the same time. MER – is the fee charged by mutual fund companies for managing the fund. You pay this fee regardless of whether the mutual fund performs well or not. Investors should decide if they want someone managing the investment for them and what they are willing to pay for the service. Diversity – Never place all of your money into one investment – stock, mutual fund or GIC. Diversify your investments across several stocks in various industry segments. Risk – the market is considered high risk. There have been significant upticks and down ticks in the market over the years. This is both an advantage and a disadvantage of common stock investing. For more information about stock dividends, click here. The stock market of 2013 up to the middle of November has bloomed and is up almost 25%. This is contributed greatly to the value of 401(k)s and RRSPs which is the Canadian equivalent retirement system. The stock market bull or bear continues it’s upward trend into 2014 and possibly into 2015. there seems to be nothing serious on the horizon to counter this continued wealth creation phase of the market. Anyone who got out of the market back in 2008 and 2009 and stayed out has lost thousands of dollars as a result and will never be able to recover this loss. But the question increasingly remains is whether the stock market will continue its current level of increase. Or stay static towards the end of the year or whether there will be a correction of say 5%? 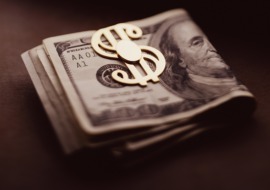 Should investors begin selling off to collect profits? Or should they assume that the stock market is not finished with its run yet. Will it increase even further and provide them with more gains in their retirement plans. True there have been several corrections over the past year and there will likely be more in 2015. Some corrections have been as much as almost 10%, but they have failed to signal a switch to a bear market. 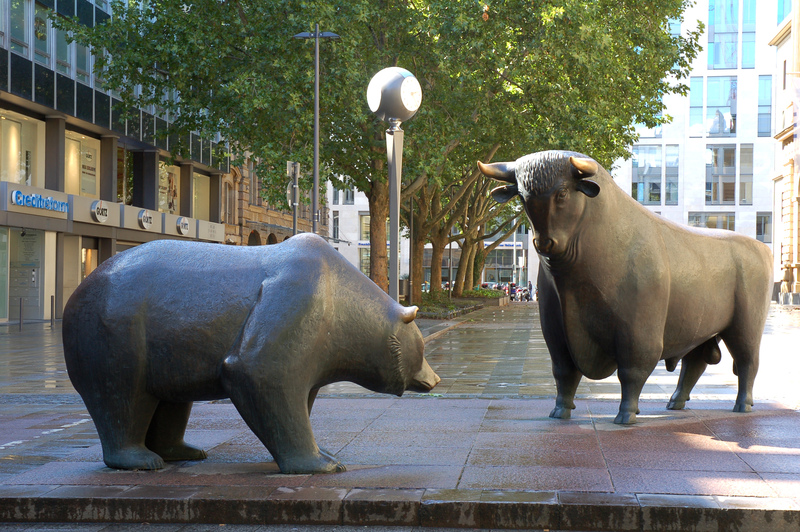 So what is the Stock market – bull or bear prediction for 2015? For those investors Growth in their 401(k)s and retirement plans, this increase in the stock market this year represents a significant gain. It also puts them at risk should there be a correction in the gain to be wiped out or decreased. The question remains should they sell now to collect some profit or hold the course? they purchase, the dividend that’s being paid and the value of the stock at the time they made the purchase. Regardless of whether the stock value decreases or continues to increase, these investors will continue to receive their dividends. The bond market will continue to pay the bond interest that is been contracted on there certificates. Regardless of the stock market direction over the next 18 months, dividends and bond interest will be paid into RRSPs and 401(k)s.
Investors should evaluate their 401(k) and RRSP investment plans relative to the type of stocks and bonds that they currently carry. The balance of risk management and income as well as growth should be considered. In view of which direction they feel that the stock market will go in 2013 and into 2017. Buying investment grade dividend paying stocks to maximize your income yield and also positioning yourself for ongoing increases is a great way to grow your income stream and also protect yourself from the fixed income that many seniors are facing due to being on fixed pensions. Friends of ours are complaining that they are on a fixed pension and that sometime in the next 10 years their standard of living is going to decline depending on how bad inflation is. They retired early, have no desire to keep working and are spending well i.e enjoying themselves while they have their health. But they are still worried about the future due to their fixed income pensions. One way to deal with this issue is to invest in companies that not only pay good dividend yields, but also have a history of increasing their dividends year over year. These people who invest in this manner receive an automatic raise every year that the dividends are increased. They may be getting a pension, but they are also earning money from their investments and receiving a raise every year. There are quite a number of companies that have a history of paying dividends every year as well as increasing them on a regular basis. Select wisely and stick to the blue chip stocks when you are looking for dividend paying stocks. Your stoke broker or investment adviser should be able to provide you with the information that you need. Always invest in a diverse manner. Don’t put all of your money with one stock or with one investment adviser or broker. If it sounds too good to be true it probably is not true. You could get scammed. So take the time to do your own research. Talk to several advisers and then make your own decision. We like dividend paying stocks that are in the investment grade category. They should pay a yield of at least 4% and not more than 6%. They should also have a history of increasing the dividend payout each year. Right now as we write this post, anything higher than a 6% yield is beginning to fall into the high risk category. Either the dividend could be cut reducing the yield. Or the company is not going to raise dividends for some time until the rest of the market catches up. Sure there are some bumps along the road. But if they have a track record of paying dividends each year and increasing them, then they have a good record that you can generally count on. There is still risk. Since you are investing for the long term, you need to monitor your investments on a regular basis. Some people suggest you should meet with your adviser once per year to review your investments. We believe you should be monitoring them on a monthly basis at the minimum and you should also with your adviser quarterly. If for some reason your stock portfolio is not meeting your objective for dividend growth and yield, then you need to decide if the situation suggest you should sit tight or if you should take some action. At the very minimum, review each if the stocks in your portfolio and make an informed decision. At various times some stocks will do better than others and may require re-balancing of your portfolio to maintain your diversification requirements. Maintain your strategy of diversification, yield and dividend income with blue chip stocks that will protect your investments over time. Your comments on this approach are welcome. It is a good approach given current prevailing interest rates on bonds and mutual funds. Dividend yields are in the 3% to 6% range. 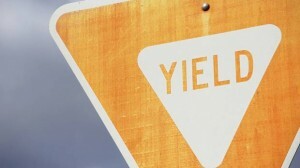 Many people have been wondering what to do about the low yields they are getting from everything from bonds to mutual funds. This post is about how to buy dividend paying stocks and still get a good yield as well as a raise every year. Our friends who happened to be retired are wondering how they will survive for the next 20 years on a fixed income. They should consider themselves fortunate that they have a pension and not have to worry about were their money is coming from. It is a serious question for many people regarding how they can circumvent the fixed pension concept and continue to live comfortably as inflation gradually eats into their income buying power. They all seem to be fixated on this concept of a fixed income, however they still receive inflation increases every year with their indexed pensions. For those people without pensions that are not indexed, what do you do to keep up with inflation? It is easy to buy stocks and it is easy to buy dividend paying stocks but how do you buy dividend paying stocks that are relatively secure and provide increases every year. The first thing is to realize that nothing remains the same. Everything evolves and everything changes, but there are things you can do to help you decrease the risk and receive a raise almost every year. We decided to build a criteria table for our own use and wanted to share it with people. If you are reading this and it helps you great. If you are reading this and disagree with us or feel that we missed something, let us know and leave a comment! This is the approach we are taking to ensure a raise every year for us, protect our investments and keep up with inflation as we get older. The yield level is important since it compares how much money you are making on dividends and allows you to compare the yield to other investment instruments, such as bonds and mutual funds. The total dividend payment of the company should be less than 50% of the cash flow of the company. If there cash flow decreases in a bad year, do they still have the ability to make their dividend payments? This is the key question to ensure that they do not miss a payment. If the yield is abnormally high, it may imply risk in that the stock is low and they may decrease the dividend to bring it into line with the market. Stay away from speculation and focus on income while in the later years just prior to or post retirement to preserve your income and to also gain increases over time. There are actually some companies that have a record of increasing their dividends for 40 years in a row! What a record that is. Of course this also means they paid a dividend every year. It provides a pretty good idea of the level of risk you are facing. Never let your guard down, monitor these companies as well when you invest in them. Any stock broker or financial adviser can purchase stocks for you in your account. Check them out carefully before you pass your money to them. Read some of other posts on this subject on our web site for more information. Comments are welcome. Invest wisely and carefully! Practice diversity and seek second opinions when it sounds too good to be true.